Comic of Batman and Elmer Fudd: Batman vs. The Duck Squadron! 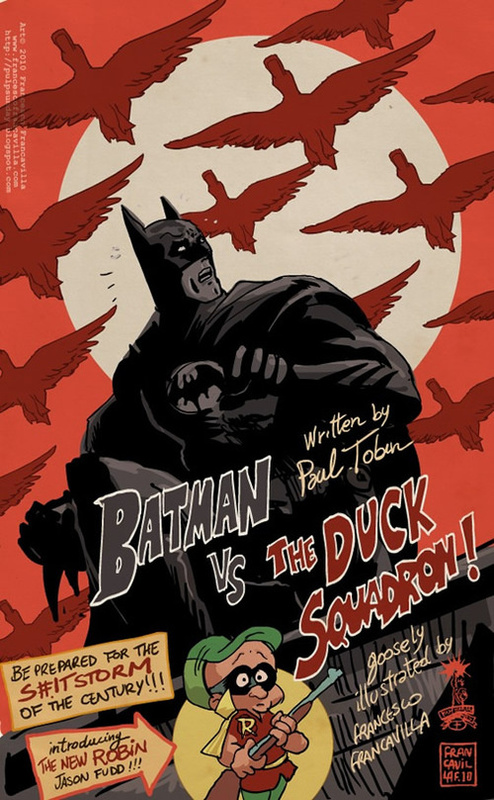 The comic-book artist Francesco Francavilla and writer Paul Tobin want to create the comic: Batman vs. The Duck Squadron! with Elmer Fudd from the Looney Tunes as a new Robin. Francesco needs to collect 50,000 signatures to obtain a green light from DC Comics.